Spacelabs Cardiology can trace its origins to the very beginning of Holter technology in Del Mar Reynolds, the inventors of Holter technology over half a century ago. Since then Spacelabs dedicated engineers have continued to innovate and provide you with powerful and accurate Holter analyzers and recorders to collect, analyze, and interpret all the ECG information you need to support your cardiology, hypertension and diagnostic screening needs. 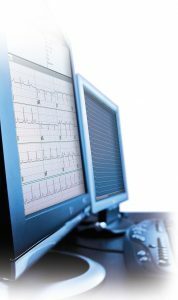 Pathfinder SL represents over 50 years of expertise in designing advanced algorithms and tools that allow you to quickly analyze large amounts of ECG data and achieve fast and meaningful results. Combined with our powerful and scalable Sentinel cardiology information management platform, clinicians the world over count on us for reliable and accurate analysis results to assist with their diagnostic cardiology and hypertension management outcomes. A versatile and powerful analysis package for cardiology and sleep apnea analysis and review. Pathfinder SL provides you with the ability to analyze all your Holter data and turn it into meaningful interpretation and analysis presented in customizable report formats to suit your diagnostic needs. A high fidelity flexible recorder to meet all your diagnostic ECG needs. From patient compliant 3-lead cables with comfortable lanyard wearing solutions capable of recording ECG over seven days, to a true 12-Lead ECG recording. 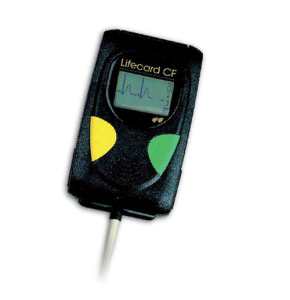 Lifecard CF is one recorder that provides you with multiple lead-wire options. 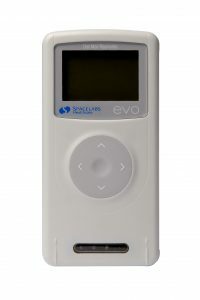 A portable, lightweight Holter recorder designed to minimize patient turnaround time in a busy department, with less than five minutes to download and recharge between patients when recording up to 48 hours of 3-lead ECG data.